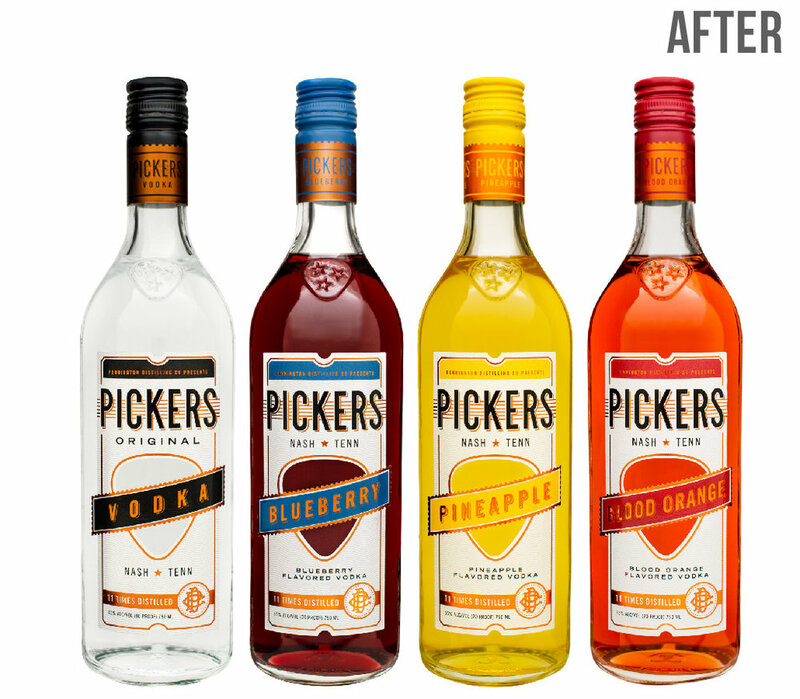 Our lovely friends over at Pennington Distilling Co. approached us about wanting to update the overall look of Pickers Vodka. 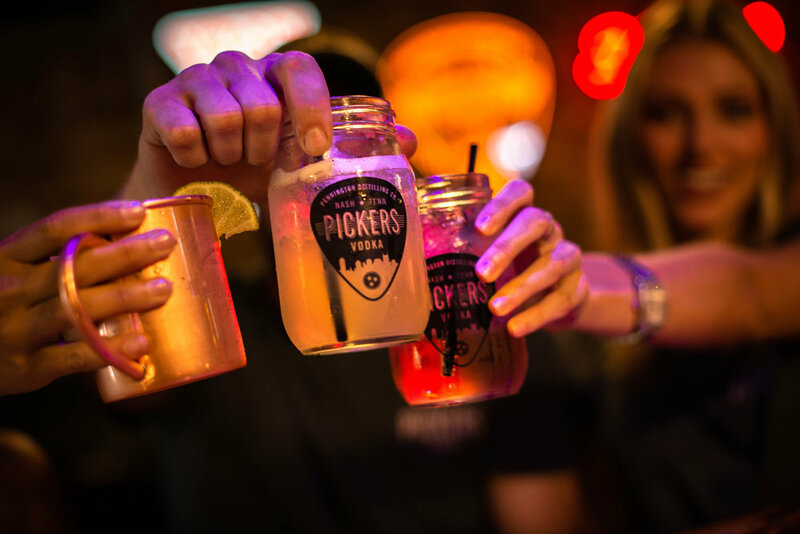 They are very passionate about their product (which is distilled in Nashville) and their ties to Music City. 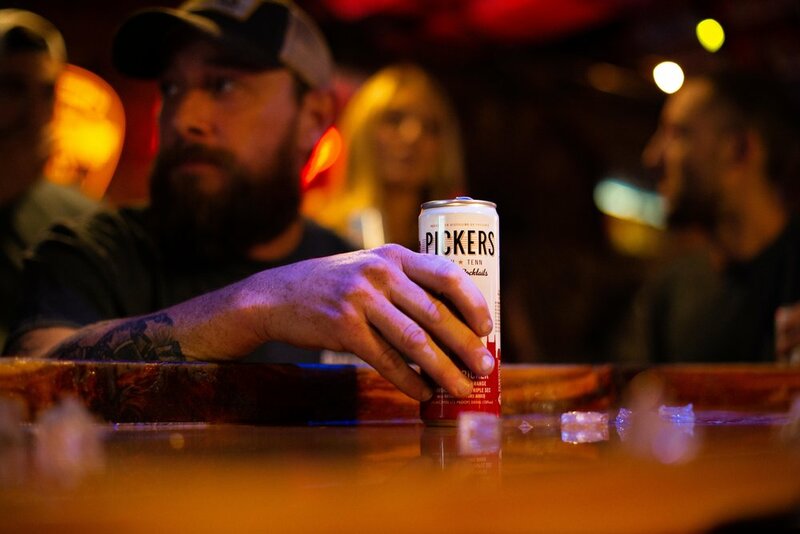 With “Pickers” obviously being a play on guitar picking, they wanted to incorporate a music vibe into their new labels but weren’t exactly sure how to do this as well as elevate the brand from its former look. We went through a couple rounds of design and landed on the label as a “ticket” with the guitar pick cutout. This played well with their new custom bottle that incorporated the strings of a guitar along the side. After the new bottle launched, Pennington asked us to provide environmental, on white sweep, and lifestyle photos with the new product, their new canned cocktails and some of their merchandise. Naturally, we were happy to oblige!